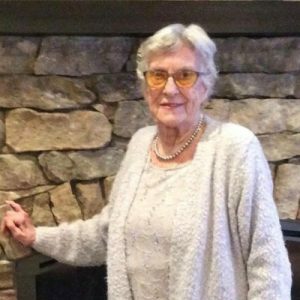 Phyllis went to be with the Lord on Friday, October 26, 2018 at the age of 89. She is survived by her children Gerry Durant (Shelley), Barbara Kelner (Ron), Patricia Durant (David), Robert Durant (Greg), Linda Riopel and Donna (Keith) Jansons; grandchildren Jason, Danielle, Geoffrey, Heather, Alison, Amanda, Kathleen, Evan, Nick and Connor, great grandchildren Madilynn, Abigail, Grayden and Mackenzie. Phyllis is now hiking the mountains of Heaven. A private family memorial will be held in the Spring of 2019 in the mountains. The service for ARMSTRONG, Phyllis Elizabeth is scheduled for A private family memorial will be held in the Spring of 2019 in the mountains.. Below you will find the map for the service location and the contact information should you have any questions. Deepest condolences to you and the entire family on the loss of your Mom. Our hearts are broken for you all. You are in our thoughts and prayers. Linda and Donna, my mom and I wanted to send you our condolences for your sad loss. I have fond memories of your mother introducing me to dog shows and a love of all things collie. I recall she babysat me more than once, and (all three of you) always made me feel welcome in your home.